Locus Wines winemaker Rich Burton will be on hand to serve specially-priced Locus Wines-only flights from 1 to 6PM at the Tasting Room, located in Post Alley in downtown Seattle. Locus Wines is always available by the glass or by the bottle at the Tasting Room but usually without Rich Burton serving it to you! Don;t know your way around Post Alley or the hours of operation for the Tasting Room? Check out the Tasting Room website. It is a great location for happy hour, weekend wind down and post-dinner drinks too. 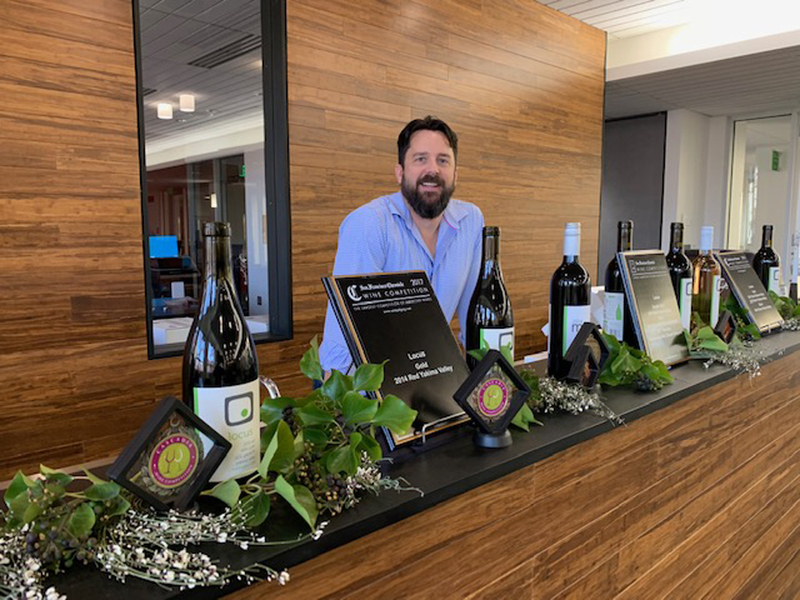 This entry was posted in Events and tagged #locuswines, #seattleurbanwineries, locus wines, rich burton, Seattle Urban Wineries, the tasting room, wawine, what to do in seattle by tonski715. Bookmark the permalink.